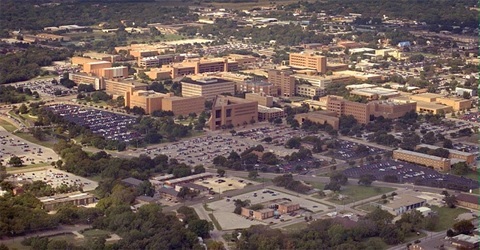 Astronomers at The University of Texas at Austin have developed a new technique to discover the faintest galaxies yet seen in the early universe —10 times fainter than any previously seen. A Hubble Space Telescope view of the galaxy cluster Abell 2744. These galaxies will help astronomers probe a little-understood, but important period in cosmic history. Their new technique helps probe the time a billion years after the Big Bang, when the early, dark universe was flooded with light from the first galaxies. Rachael Livermore and Steven Finkelstein of the UT Austin Astronomy Department, along with Jennifer Lotz of the Space Telescope Science Institute, went looking for these faint galaxies in images from Hubble Space Telescope’s Frontier Fields survey. 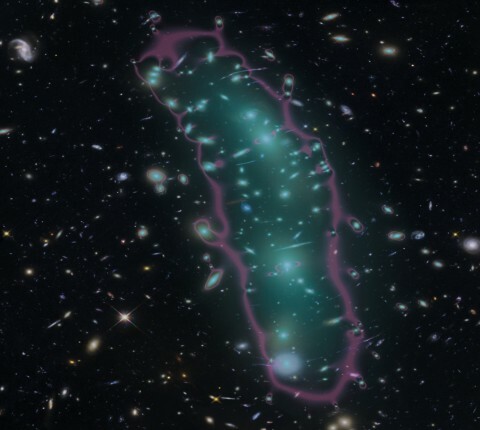 A Hubble Space Telescope view of the galaxy cluster MACS 0416 is annotated in cyan and magenta to show how it acts as a ‘gravitational lens,’ magnifying more distant background galaxies. These faint, early galaxies gave rise to the Epoch of Reionization, when the energetic radiation they gave off bombarded the gas between all galaxies in the universe. This caused the atoms in this diffuse gas to lose their electrons (that is, become ionized). Finkelstein explained why finding these faint galaxies is so important. “We knew ahead of time that for our idea of galaxy-powered reionization to work, there had to be galaxies a hundred times fainter than we could see with Hubble,” he said, “and they had to be really, really common.” This was why the Hubble Frontier Fields program was created, he said. Lotz leads the Hubble Frontier Fields project, one of the telescope’s largest to date. In it, Hubble photographed several large galaxy clusters. These were selected to take advantage of their enormous mass which causes a useful optical effect, predicted by Albert Einstein. 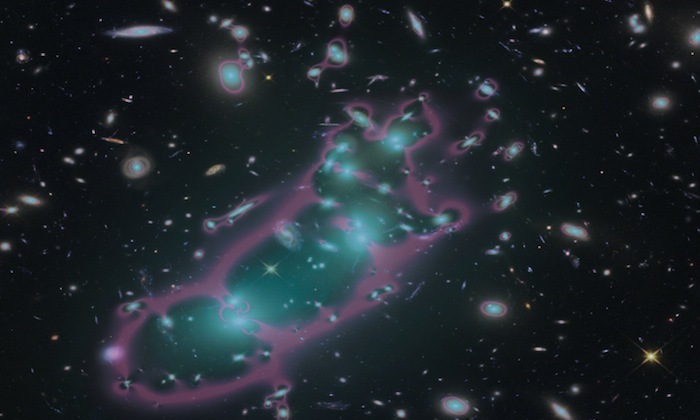 A galaxy cluster’s immense gravity bends space, which magnifies light from more-distant galaxies behind it as that light travels toward the telescope. Thus the galaxy cluster acts as a magnifying glass, or a “gravitational lens,” allowing astronomers to see those more-distant galaxies — ones they would not normally be able to detect, even with Hubble. Even then, though, the lensed galaxies were still just at the cusp of what Hubble could detect. Livermore elaborates: “The problem is, you’re trying to find these really faint things, but you’re looking behind these really bright things. The brightest galaxies in the universe are in clusters, and those cluster galaxies are blocking the background galaxies we’re trying to observe. So what I did was come up with a method of removing the cluster galaxies” from the images. Her method uses modeling to identify and separate light from the foreground galaxies (the cluster galaxies) from the light coming from the background galaxies (the more-distant, lensed galaxies). Livermore and Finkelstein have used the new method on two of the galaxy clusters in the Frontier Fields project: Abell 2744 and MACS 0416. It enabled them to identify faint galaxies seen when the universe was about a billion years old, less than 10 percent of its current age — galaxies 100 times fainter than those found in the Hubble Ultra Deep Field, for instance, which is the deepest image of the night sky yet obtained. Their observations showed that these faint galaxies are extremely numerous, consistent with the idea that large numbers of extremely faint galaxies were the main power source behind reionization. There are four Frontier Fields clusters left, and the team plans to study them all with Livermore’s method. In future, she said, they would like to use the James Webb Space Telescope to study even fainter galaxies. The work is published in a recent issue of The Astrophysical Journal.